As a parent, you want your child to be as healthy as possible. Dental health is one of the most important aspects of overall health. Regularly scheduled dental cleanings, as well as brushing and flossing twice daily, are both things that our pediatric dentist recommends. Not only will this help your health, but also your smile! Learn more about dental cleanings, and book your child’s appointment with the pediatric dentists at Treasured Teeth! What should I do if my child is afraid? Many children are afraid of the dentist, and that’s why we’ve done what we can to make our pediatric dental offices as friendly and fun as possible. Treasured Teeth is different from other dental clinics, because we are solely here for children’s dental services. 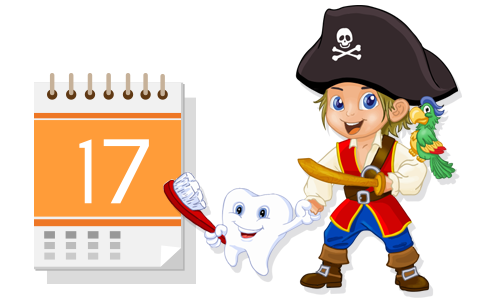 With a pirate ship that kids can play on and compassionate, experienced dentists, your child won’t be afraid for long! Additionally, we offer several services that might work great for your child if they’re nervous. We’ll meet with your child first before doing any work, and might recommend a lap exam for children who are still afraid. This means they get to sit in your lap during the appointment! We also offer sedation dentistry for children as well. Your child can sit in your lap for extra comfort and support. General anesthesia will make your child sleepy and relaxed during the procedure. We’re great at distracting kids with songs and stories during their cleaning! How often should my child go in for a cleaning? Schedule an appointment for your child (and everyone in your family) every six months. Here’s a tip from our pediatric dentists: make it easier on yourself and your family’s busy schedule by booking out another appointment every time you go. We’ll send you reminders as the time gets closer. Do kids need a dental cleaning when they have baby teeth? Yes! With proper care in childhood, their permanent teeth will be able to come in more smoothly and in a more healthy way. Plus, having the right teeth alignment and care as a child can even impact their speech development. One of the most important things we can do for your children’s lifelong oral health is make sure their experience in our office is pleasant. With happy childhood memories of visiting the dentist, they are more likely to continue taking care of their teeth and gums as they mature into adulthood. With Treasured Teeth, your child will be set up for success — not just with their dental care, but with their overall health as well. Our pediatric dentist has three convenient locations in Montrose, Thornton, and Reunion, so you never have to travel far to get your child the best in care! 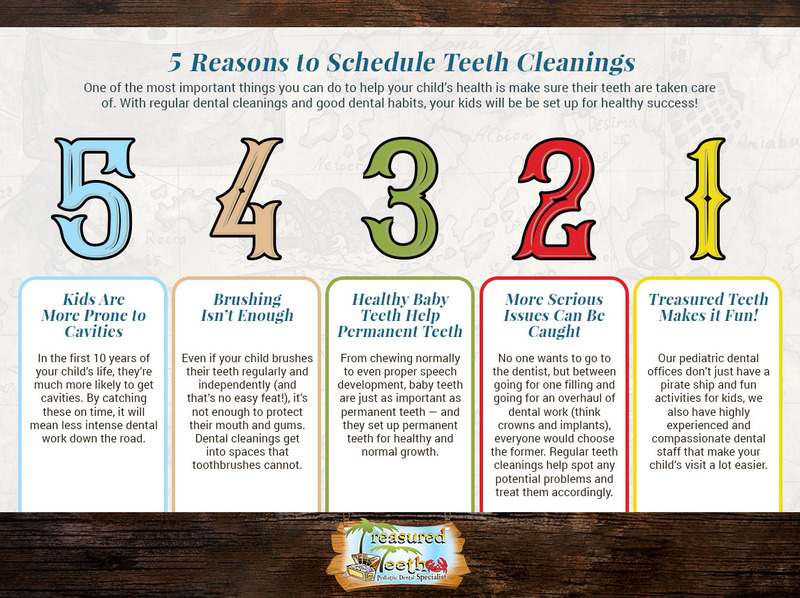 Contact Treasured Teeth to get your child’s dental cleaning set up today, we’re excited to see you!